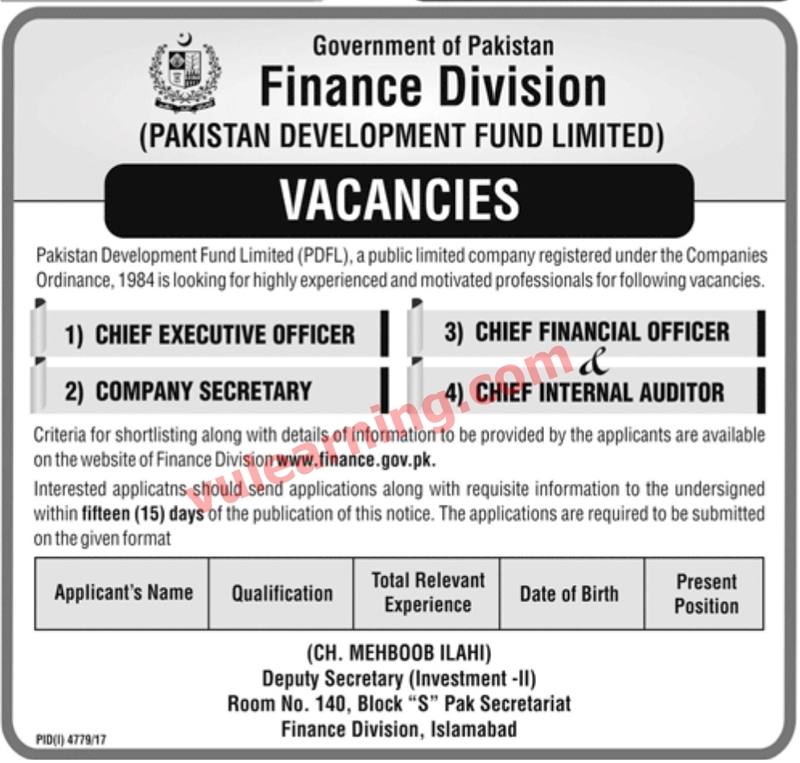 Pakistan Development Fund Limited (PDFL), a public limited company is looking for highly experienced and motivated professionals for following vacancies. 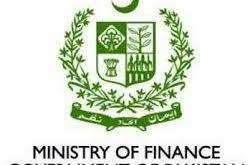 Criteria for shorilisting along with details of information to be provided by the applicants are available on the website of Finance Division www.linance.gov.pk. Interested applicatns should send applications along with requisite information to the undersigned within fifteen (15) days of the publication of this notice. The applications are required to be submitted on the given format.